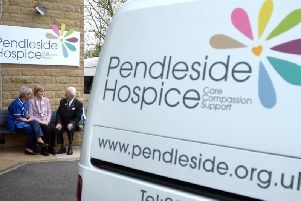 One of Burnley’s best-known youth workers has died at Pendleside Hospice after a short battle with cancer. For 34 years Jean Bunting, of Minehead Avenue, Burnley, ran Stoneyholme Youth Club alongside her husband Brian, a leading amateur sportsman in the town. Jean (81) had been a top sportswoman herself. As a teenager she played for Burnley at netball, and was also in the town athletics team. When she wasn’t playing sport, come rain or shine she was on the sidelines cheering on her team. After leaving Hargher Clough school in Burnley, Jean began work on the switchboard at the Co-op building. She met her beloved Brian through their joint interest in youth work. Brian worked as a miner in the town, he was also a superb cricketer and footballer. In the days before mobile phones and the internet, Brian and Jean kept generations of Stoneyholme youngsters off the street, forging some of the best table tennis and football teams in the town. Among a number of jobs during her career, Jean worked at Gus and Pendelfin. She also opened a grocery store – only to find that she was allergic to handling money. Her final job was as a walking housing warden looking after the elderly in the Daneshouse and Duke Bar area. From the 1950s to its closure in the 90s, Jean and Brian were regulars at Bank Hall Miners’ Club, switching to St Andrew’s Bowling Club 20 years ago. Jean loved her whisky. Her only complaint about the fantastic care she received in the weeks she spent at Pendleside Hospice was that they rationed her whisky. It was cruel seeing a bottle on her bedside table and only being allowed one tot. Brian died last summer. Jean is survived by her daughter Zoe, son Lee and five grandchildren – not forgetting her beloved West Highland terrier Poppy. One of the products of Stoneyholme’s successful table tennis academy was Sonia Gizzon Stevens, who became a lifelong friend. She said: “I remember Jean as a good all round sportswoman. She often took her place on the netball courts and she enjoyed it immensely. “She was very supportive of Brian and did much for the youth of Stoneyholme both as a play leader and a youth leader. She helped people like me shine. Another Stoneyholmer from the 1970, former Burnley Express reporter Robert Carson, said: “Jean and Brian took teenagers like me off the street corners and channelled our energies into sport. The funeral service will be held on Monday at 12-30pm at St Cuthbert’s Church, off Briercliffe Road, Burnley, followed by burial at Burnley Cemetery at 2pm.